the iNDUSTRY Caribbean is your link to Caribbean business and lifestyle. Each of the major industries is accentuated by features of interest and an array of useful tips and strategies that are informative as well as beneficial to all readers. Advertisers enjoy a targeted, visible platform to showcase their products and services to a more captive and focused audience. 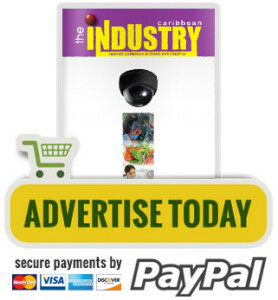 the iNDUSTRY Caribbean is accessible gratis through print and online at www.jtzadvertising.com. Rates do not include agency commission. All fonts to be outlined. All artwork to be supplied in CMYK at 300dpi. All artwork to be created in Adobe Illustrator. (Press Quality PDF file formats accepted). All photographs to be embedded, not linked in the advertisement. Actual page size is 8.5” x 11”. For advertisements with bleed add 1/4 of an inch (.25”).